← 37 weeks: he mooned us! 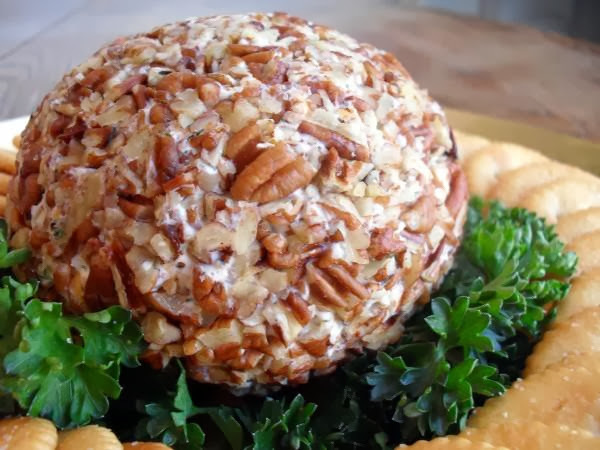 I have shared a Pumpkin Cheese Ball recipe before, and this one is very similar but the few changes make it so much better and cuter, so I have to share! 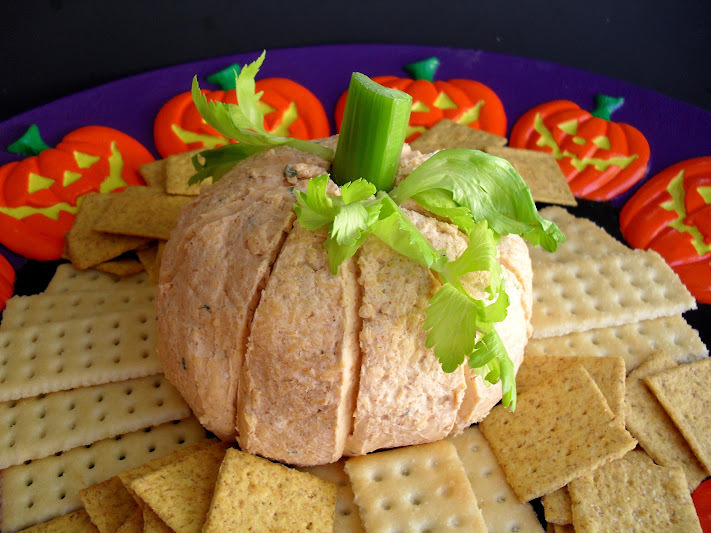 As with the other Pumpkin Cheese Ball, there is no actual pumpkin in it, but there is paprika and cayenne (don’t worry, it’s not spicy at all) to color it orange and then you do a little extra to make it resemble a pumpkin, including rolling it in crushed Doritos and putting a pepper stem on top. Cuteness! 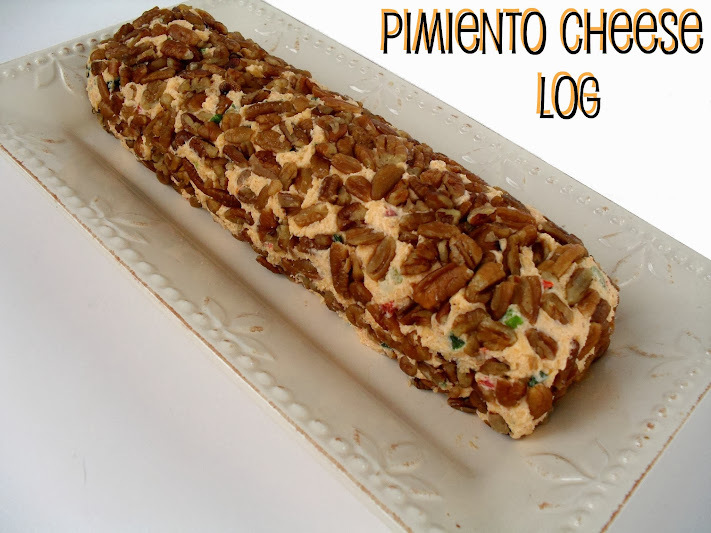 This would be a great addition to your Thanksgiving spread, or for next year’s Halloween festivities. We served two of them at my Lil’ Pumpkin Baby Shower and they were a huge hit! In a small bowl, beat cream cheese and sour cream until smooth. Beat in the chives, paprika, garlic powder, and cayenne until incorporated, then beat in the cheddar. Shape into a ball; wrap in plastic wrap. Refrigerate for 4 hours or until firm. Before serving, roll the cheese ball in crushed chips and press a green pepper stem (or celery rib, using some of the leaves for pumpkin vine leaves) into the top. Allow to sit at room temperature at least 1/2 hour before serving to soften. Serve with crackers. I vas so hoping you would post this!!! Perfect to take to the teachers lounge this week! This is too adorable. Thanks for sharing! this looks so cute! i wish i had some to try now! You just had me at cheese V! Love it! How cute are those cheeseballs?! Love me a good cheeseball! Aww so cute!! I would almost feel sad dipping into it…but then I would eat it, and it would make me happy. Um love this! I love that you covered it in Doritos (win!) and a pepper stem. I’ll have to try this one for sure!